Placebo occurs when our brain uses some external stimulus, like a sugar pill, to create a healing response. You may know placebo is one of the more researched phenomena because for every modality to be tested it must be compared to a control group. Very often the control group experiences some degree of change. LIke many phenomena, science can measure it’s effects but the exact mechanism is not fully known. 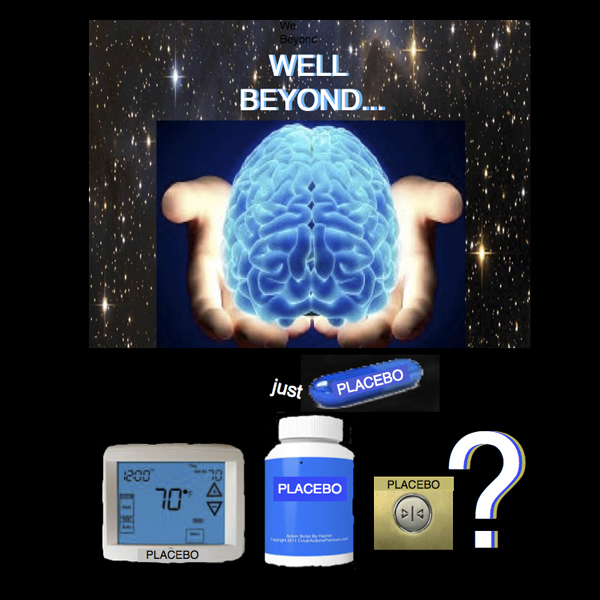 What you may not know is how widespread placebo is and how it can be used strategically as protocol for change. As many have said in the past, “Placebo may not work for everybody, but it could work for you.” How can you use placebo to work for you and your clients? This program is created in “modular” tracks which means you can re-sequence, add or subtract to the sequence I used to create different hypnotic experiences of your choosing. The music alone, which is set for entrainment to Theta (6 Hz. ), is well worth a listen just by itself!